Everything from resilience to recipes - what free spirits read when they come to ground. Female empowerment isn’t just for big girls. Teen Breathe is wise beyond its years and exquisite on the eyes. Covering ideas about intuition, mindfulness and resilience, it encourages the individual and respects that there are adolescents who want to read beyond celebrity gossip and glamour. The palette is always a pleasure to peruse. From delicate pastels to power pop art, each issue feels like a gift and regardless of whether it’s about craft, cooking or crushes, it’s pitched at the right emotional range. 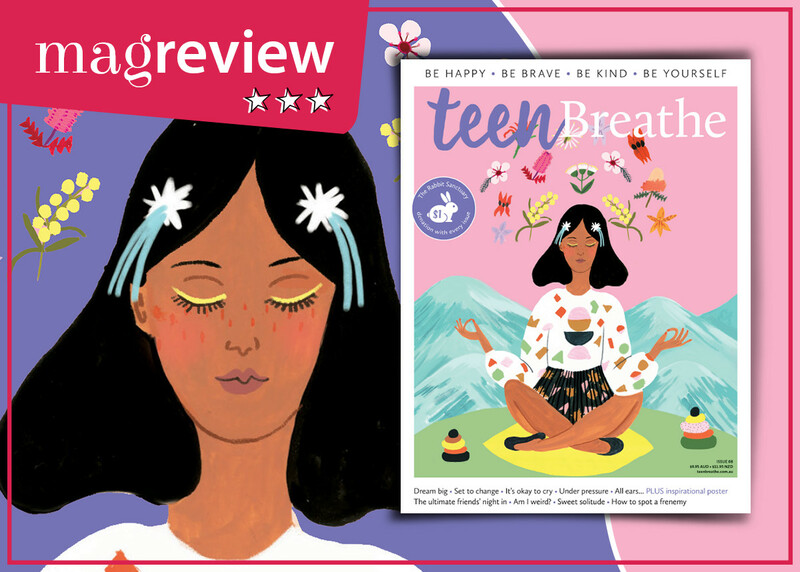 Teen Breathe is an antidote to anxiety, addressing adolescent angst with compassion and honesty. Don’t worry, it isn’t drowning in earnestness. Wisdom and whimsy make perfect page-fellows in this new magazine. In between advice on self-care and a yoga pose there’ll be a cactus colouring page and a spread on rainbows. The magazine’s banner line says, ‘be happy, be brave, be kind, be yourself’. These are words we’d all do well to live by. Magfactor of a deep inhalation. This is quite literally a breath of fresh air.